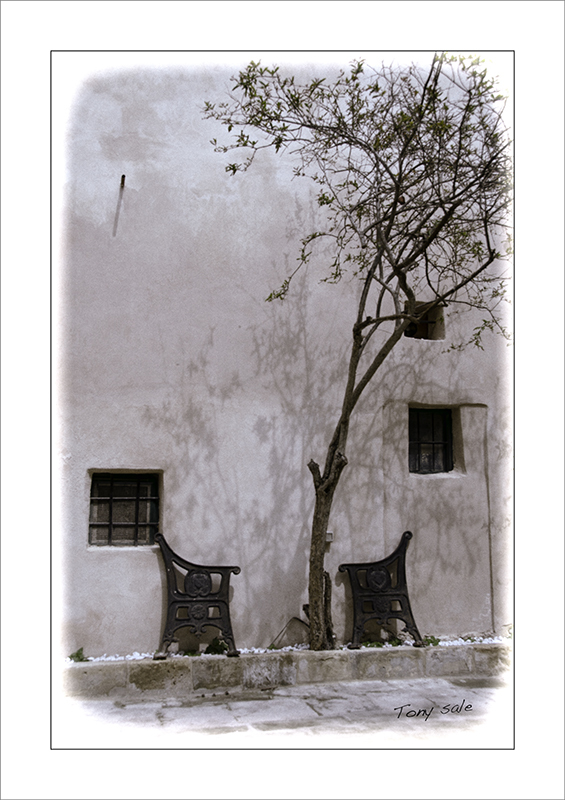 This photograph was taken whilst visiting a caffe in Rabat a small town on the outskirts of Mdina the old capital of Malta. It has undergone a small amount of post production in Photoshop. It’s a study in the elements of shape, light, colour and texture, elements which were powerful at the time and motivated me to take the photograph.